Admit it, you’re blessed. If you are able to go through this article that means you have an Internet connection and probably all the basic necessities. Sometimes, it’s hard to think of the privilege we carry with the life. These days we are flooded with social media apps and all other things. We order food in a restaurant, we enjoy till we reach maximum satisfaction we leave the leftovers. We celebrate birthdays buy buying 2 cakes, 1 for eating and 1 for ‘Cake facial’. What do we gain with all that nonsense? Instead, it makes more sense if we donate food for children, destitute who need it most. Lives are becoming normalized on our screens but for some kids, lunch at school may be the last meal of the day. 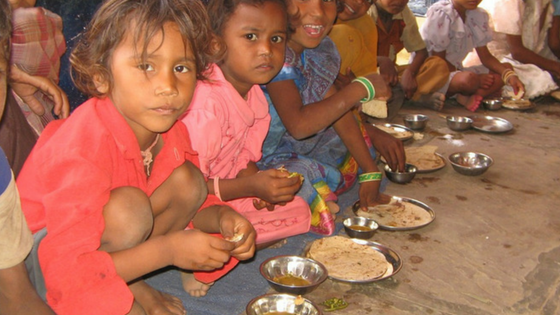 There are many kids who still don’t get a single meal properly. All kids need is a little help, a little hope & someone who can make their dreams live. We value your donation. Your little help will make a huge difference. For an instance let us imagine our kid going to bed without taking their meal. As a parent that really make us feel difficult to sleep the whole night. Imaging a situation is being difficult but in the real life there are many children who are sleeping with hunger. A child’s chance for a bright tomorrow starts with getting enough healthy food that they get to eat today. Let’s us try not wasting a single grain and try to donate as much as you can. Join your hand to create a hunger-free society.